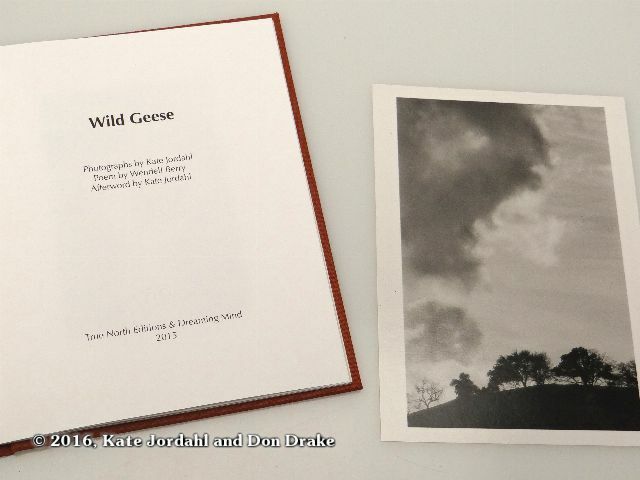 Kate Jordahl's and Don Drake's third book in the One Poem Series takes up the themes from the previous book Crystal Day with a more restless and questing spirit under the influence of Wendell Berry’s poem Wild Geese. Kate's responses to Berry's poem emphasize place rather than moment, and her afterword makes clear that this is the story of the search for a sense of home and comfort even as the eroding effects of time press us always onward. There are three options for purchasing the limited edition One Poem Books. You may purchase any single book. Single hard bound copies are $125 each. Single paper bound copies are $35 each. 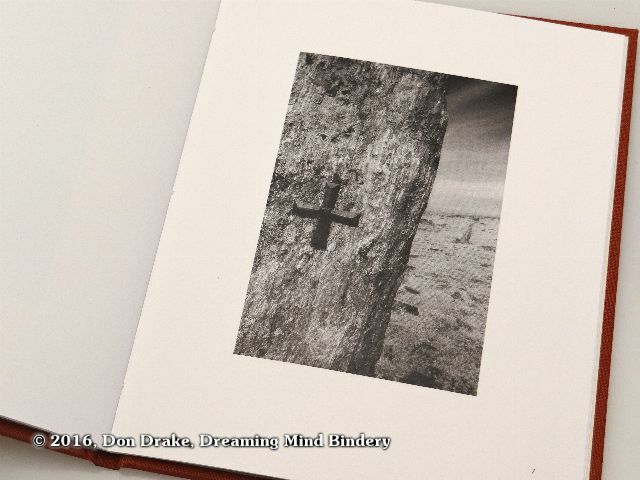 Includes one silver gelatin print from the book. 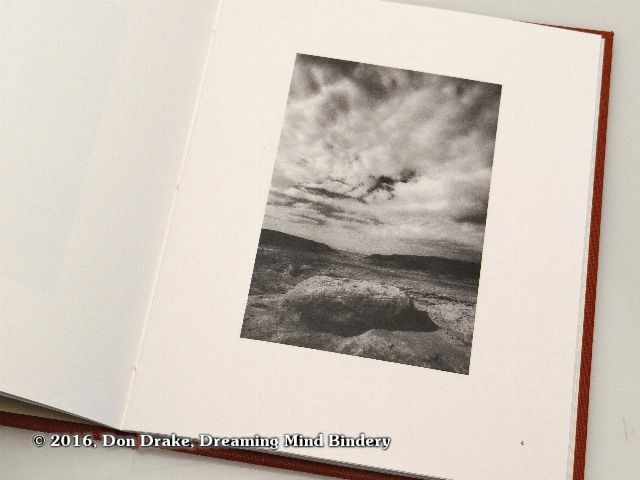 Book binders or book artists may purchase unbound page sets of any single book for $15 or may buy the full 6 book set for $60. Shipping is included inside the continental USA. California sales tax may apply. 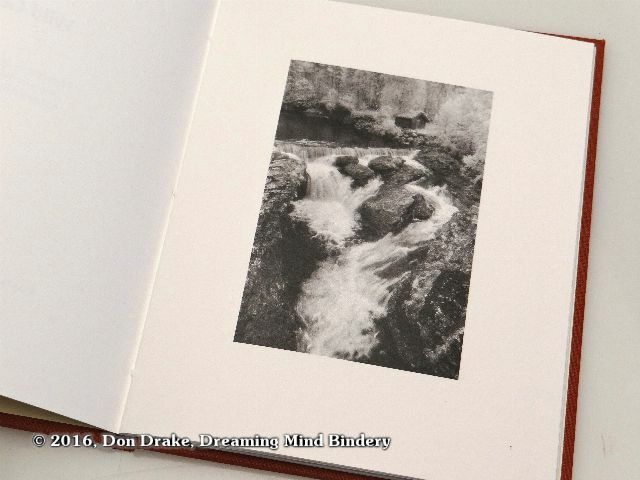 Each book is a single gathering of folios that will fold down to a page size of 5" x 6.25". The pages are already trimmed at the head and tail but the fore edge remains to be trimmed. Contact Don for more details.